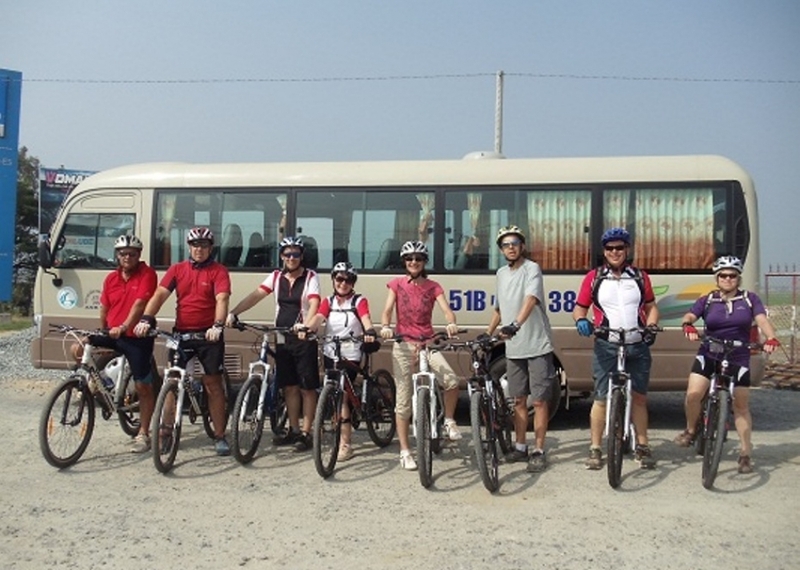 Summary :The Laos bicycle tours are Red Spokes most popular cycling holidays. Laos is a beautiful, quiet country, still relatively untouched by western values. It is mountainous and land-locked, with a population of just 6 million who have a reputation for being amongst the most welcoming and friendly people in the world. 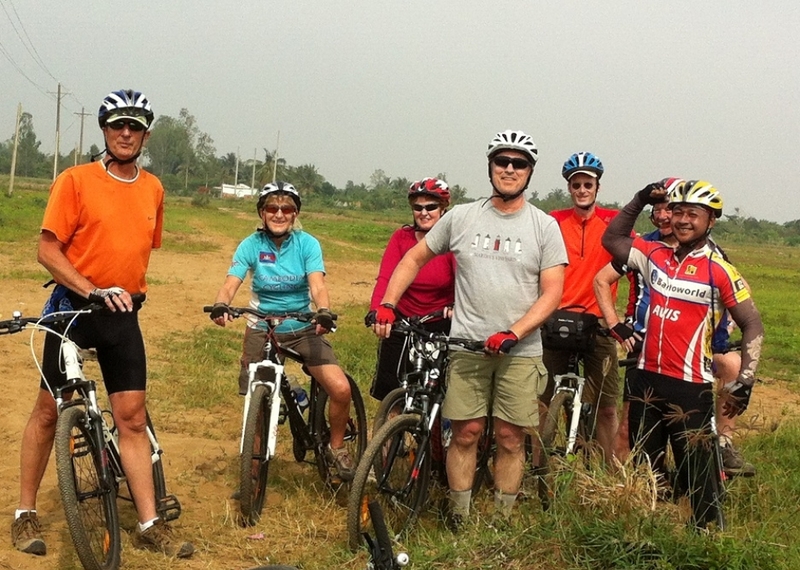 The Red Spokes cycling holiday in Laos offers spectacular scenery and a rich and diverse cultural experience. 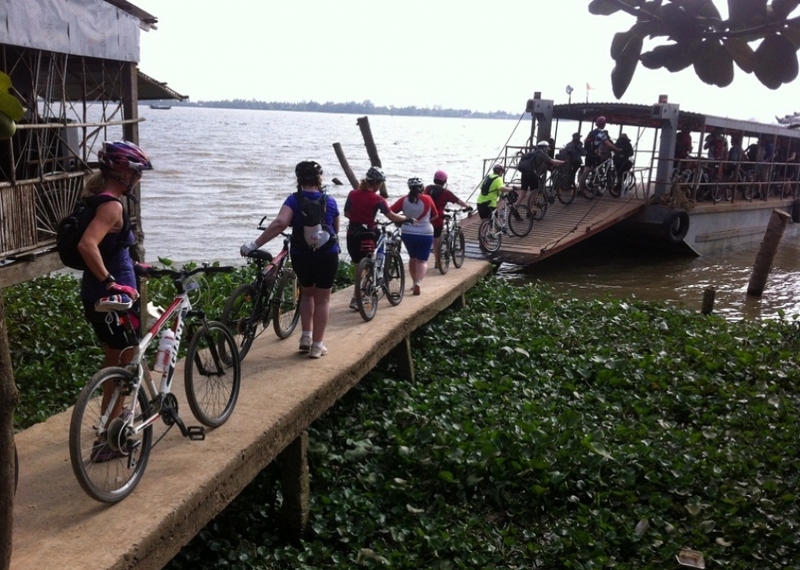 What better way could there be to see Laos than the view from a bicycle? 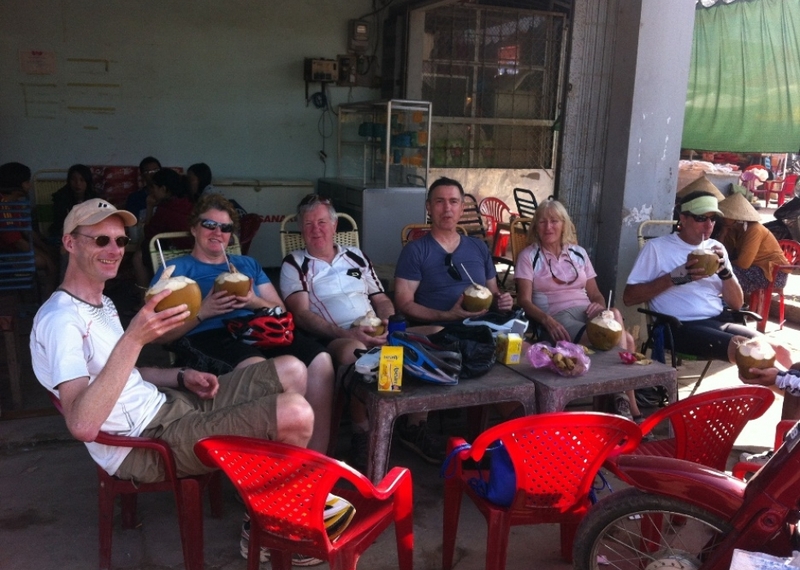 Our cycling holiday begins in the Laos capital city Vientiane. Situated on the banks of the Mekong river, Vientiane has a relaxed, elegant charm. From here you will enjoy some of the most breathtaking scenery in Asia, mountain biking towards Northern Laos. 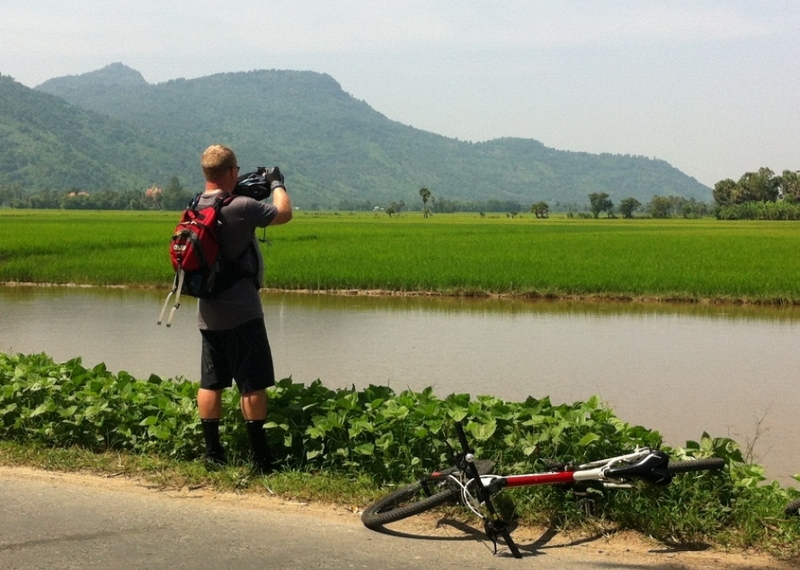 We travel through a rural landscape to Nam Ngum, then cycling on to Vang Vieng. We enter a landscape of stunning limestone karst formations as our journey continues on via rolling hills to the historic city of Luang Prabang, a UNESCO World Heritage Site. This ancient, royal city full of exquisite Buddhist Temples, where time seems to stand still, is a magical place to explore and relax. Cycling north out into the mountains towards Oudomxay we visit a Hmong village school which Red Spokes has been supporting for a number of years. From here it’s on to Ban Nalay village where we will be treated to a traditional Laos homestay amongst the community; you will be hosted by the Laos villagers who perform a traditional Basi ceremony. Red Spokes supports Ban Nalay community projects as a means of contributing to village development. This part of the Laos bicycle tour will give you an insight into the traditional way of life and work, weaving and cotton-producing and the culture of the Tai Lue people. Our cycle trip continues to the Mekong river for a boat journey through glorious scenery back into Luang Prabang where the Laos mountain bike holiday finally ends. The Laos tour starts in Vientiane. A Red Spokes guide will meet you at the airport and transfer you to your hotel. You will have some free time to explore this delightful city. This morning we will sort out any bike problems before we stretch our legs with a ride around this laid back city and the surrounding area. With its French colonial influences Vientiane is barely recognisable as an Asian capital, it has a relaxed \'small town\' charm. 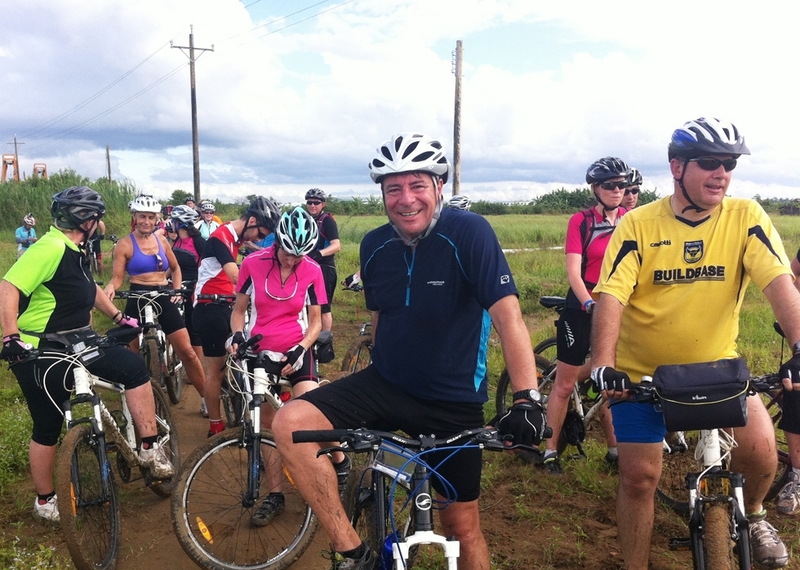 We cycle out of Vientiane. After leaving the bustle of the town, we cycle through pastoral agricultural land passing paddy fields and more intensively farmed areas. Towards the end of the day there are two short, but rewarding, climbs just before we reach our destination at Ang Nam Ngum reservoir. We have an early start this morning along mostly flat roads. Towards the end of the morning we reach the fishing village of Tha Heauna where all manner of salty fish are on sale by the road. We will have lunch here - sampling the local produce - before cycling on to arrive by early afternoon in Vang Vieng, where we stay the night. Rest Day. Vang Vieng has recently become a popular destination for backpackers and is a comfortable place with nice restaurants and guesthouses.There are options to swim, tube or visit nearby caves.We can relax with a beer Lao to finish off the day and enjoy the sunset over the river behind the stunning limestone pinnacles. We begin the day cycling a route with hills on either side. After about 28km we begin to get a taste of what\'s to come with an 8k climb. This is followed by a long gentle descent to Kasi. We will have an early start in preparation for the hardest day of the trip. The cycling begins with a fairly gentle 10k ride as the scent of jasmine and lotus blossoms drifts through the clear air from the rich jungle flora. 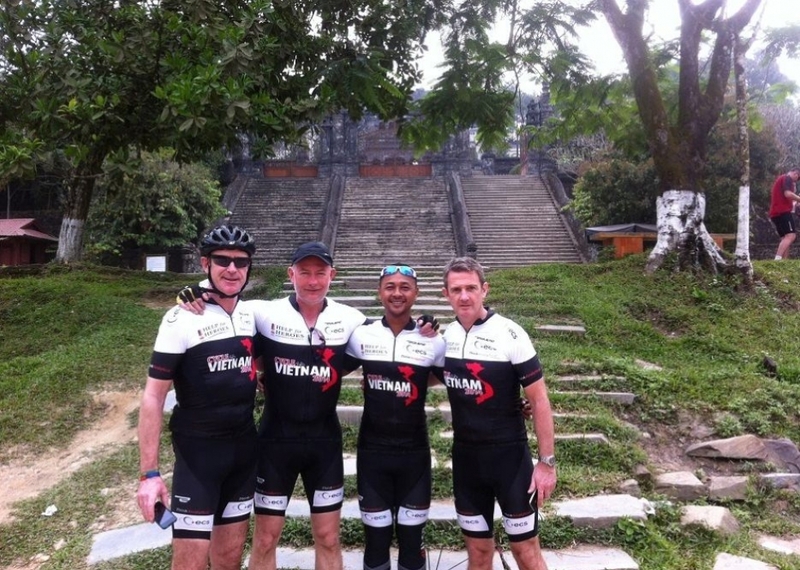 This is followed by a massive 38k ascent to reach Nung Phum. We will stop here for a well-deserved lunch. This afternoon we cycle a further 50k up and down through dramatic scenes of craggy limestone peaks some of which are the highest in South East Asia. At the end of this challenging day we arrive in Kiu Kachan. 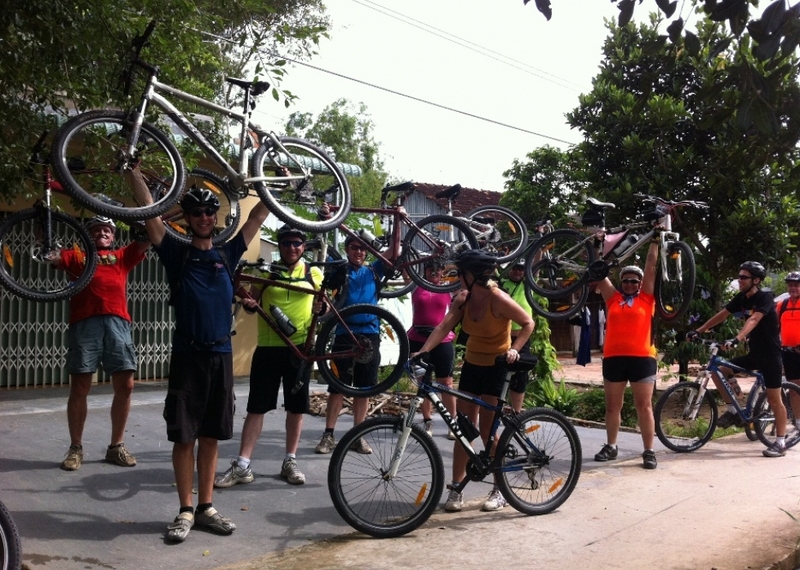 We cycle to Luang Prabang, which is a word heritage site and one of the highlights of the trip. The day starts with a long descent for 22 k followed by a 15k hard climb. On the way we pass through Hmong villages each of which has its own distinctive character and style of house. Rest day in beautiful Luang Prabang, encircled by mountains and situated on the banks of the Mekong where it meets the Nam Khan River. The day is free to explore this delightful World Heritage town with 32 historic temples, ancient monasteries, the magnificent Royal Palace Museum and French Colonial architecture. This is a place to chill out, enjoy the food, the peaceful surroundings and the people. The day starts out on pleasantly flat roads. We have the opportunity to visit the holy caves of Pak-Ou where there is an ancient collection of precious Buddhist statues (optional extra). This is a long gentle ride with interesting sights along the way, finishing in Pak Mong. An unforgettable day as we cycle into remoter areas, well off the beaten track. The day starts with a steep climb that takes us deep into lush jungle. We continue cycling over rolling hills and through magnificent scenery. At the end of the day we cycle down hill to Oudom Xay; the capital of the Province and home to 22 different ethnic minorities mostly Akha, Hmong and Mien. Another roller coaster day. Our cycle route is through lush jungle and passes many hill tribe villages that still retain their age-old cultural traditions. The simple bamboo houses rest on stilts, with children playing beneath them amongst the chickens and pigs. Tonight we stop in Ban Nalay where we will be hosted by local families. "Red Spokes" has developed a special relationship with this village and we support the local school. Our friends in the village will welcome us with traditional festivities and we will experience something of life in a real Loas village. Today we cycle along unsealed roads through friendly villages. As we pass by children will shout "sabaai - dii, sabaai dii" (the Loas greeting) to every passing cyclist. 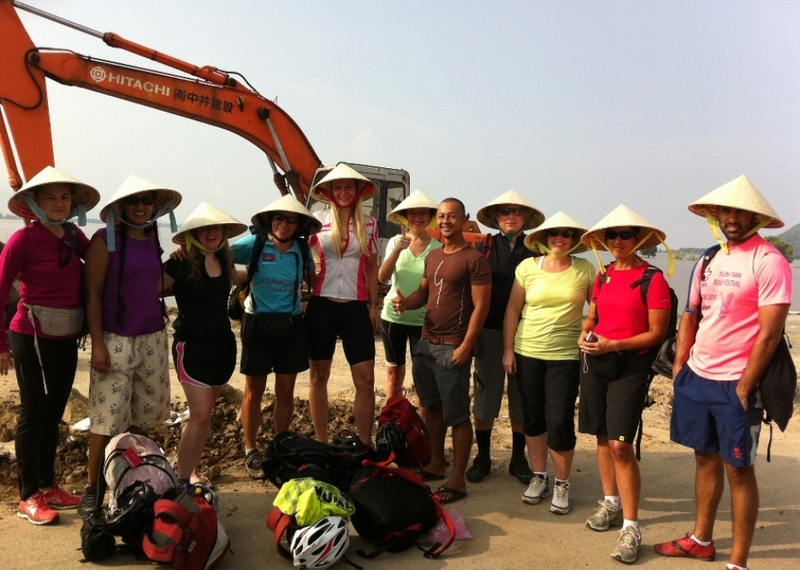 We finish the last days\' cycling in the village of Pakbeng. Today we take a memorable boat journey though mist covered mountains up the mighty Mekong river to Luang Prabang. This journey gives is a wonderful insight into the significance of the Mekong river to the people who we have met along the way, and a memorable end to your visit. In the morning you will be transferred to Luang Prabang airport for the return flight home.